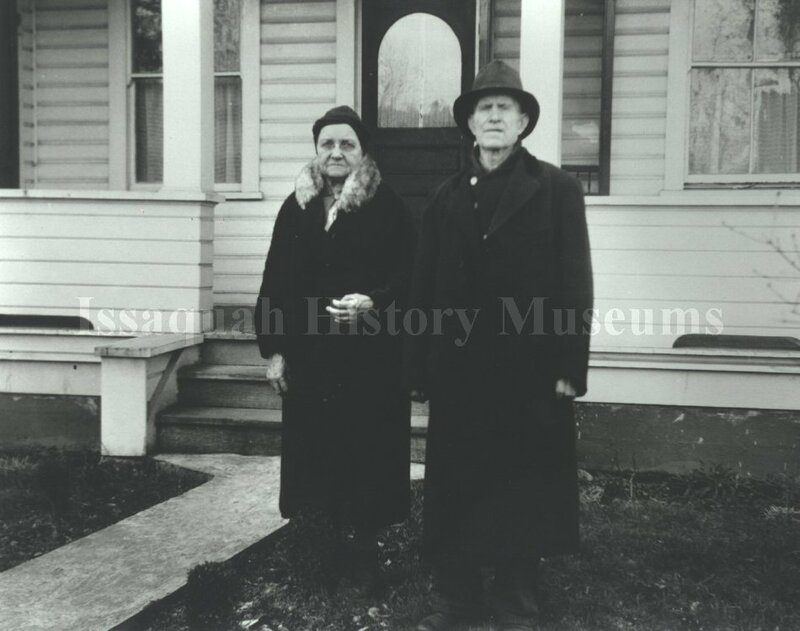 Members of the Morgan Family were well known to residents of early Issaquah. Dave Morgan built, owned and operated the Triple X restaurant, a popular local hangout. 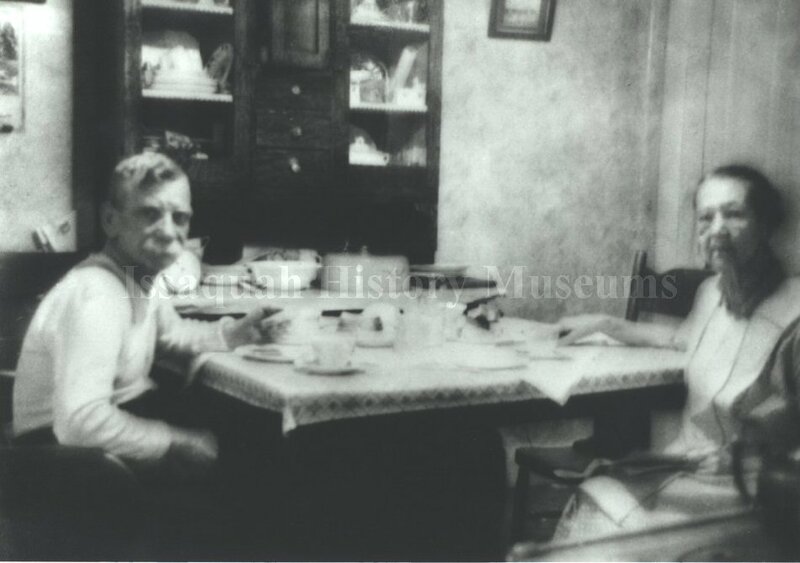 Dave’s wife Anna Pedro Morgan was one of the town’s two telephone operators for 23 years, connecting calls for everyone in town. Their son Ivor recently shared his memories, stories and family photographs with us. Ivor’s father, Dave Morgan, worked in both of Issaquah’s key industries, logging and mining, just as his father had before him. Morgan was born in Wales to Joseph and Esther Morgan and immigrated to the United States in 1907. Ivor’s mother, Anna Pedro, was born in Issaquah to two immigrants. Her father George came to the United States from Slovakia. Along the way, he received a last name fabricated by the immigration officers at Ellis Island. Pedro found work at the Issaquah mines. Among his duties was caring for the mules that worked there. named Anna Marjavie, “took the bait,” as Ivor Morgan puts it. She came to this country with $10.15, and no English language skills. While at Ellis Island, some other women conned her out of $10. She spent the remaining fifteen cents on peanut brittle, which she ate during her rail trip across the country. When she reached Seattle, she was penniless, but somehow managed to convey to the station agent in Seattle that she wished to go to Issaquah. The station agent arranged a ride by horse and buggy, and so Anna traveled to Issaquah by way of Renton. George Pedro must have met with her satisfaction, because the couple was married shortly after her arrival in Issaquah. Anna Pedro was the eldest of their four children. Dave Morgan married Anna Pedro in 1913. Their son Ivor was born on July 29,1914 -the first day of World War I. At the time of Ivor’s birth, his parents lived in Pacific Coast Coal Company housing, below the coal bunkers on Mine Hill. Later his father worked in Monohon at the lumber mill, and Ivor remembers walking to Monohon to meet his father as he walked home from work. Ivor describes his father as a hard worker and a patriot who loved the American flag. Anna Pedro Morgan began working for the telephone company after her sister, Suzie Pedro Krall, left the post and asked Anna to take overfor her. For the next 23 years, Anna worked as the town’s telephone operator. In addition to connecting calls, Anna was responsible for controlling the fire siren and for placing grocery orders for the Issaquah stores. Ivor acted as a messenger for those residents who did not have a telephone. He made ten or fifteen cents per message. From very early on, Ivor invested a lot of energy into his education. During his 13 years of schooling in Issaquah, he was never absent from school, nor was he tardy. In fact, he can still remember the names of all of his Issaquah schoolteachers. Besides attending to his studies, Ivor also played basketball, baseball, and ran track. After he graduated from Issaquah High School in 1933, his father sent him to the University of Washington. He went on to earn a medical degree from George Washington University and complete an internship at Harborview. During his career, he practiced medicine ata private practice in North Seattle, at an Arab-American oil company in Saudi Arabia, and at a blood bank and kidney center. He also worked as the staff doctor at a fire department and a police department. Ivor Morgan passed away on June 16, 2005. His children have donated his doctor’s bag and medical kit to the Issaquah History Museums. This article was published in the Winter 2005 edition of Past Times.